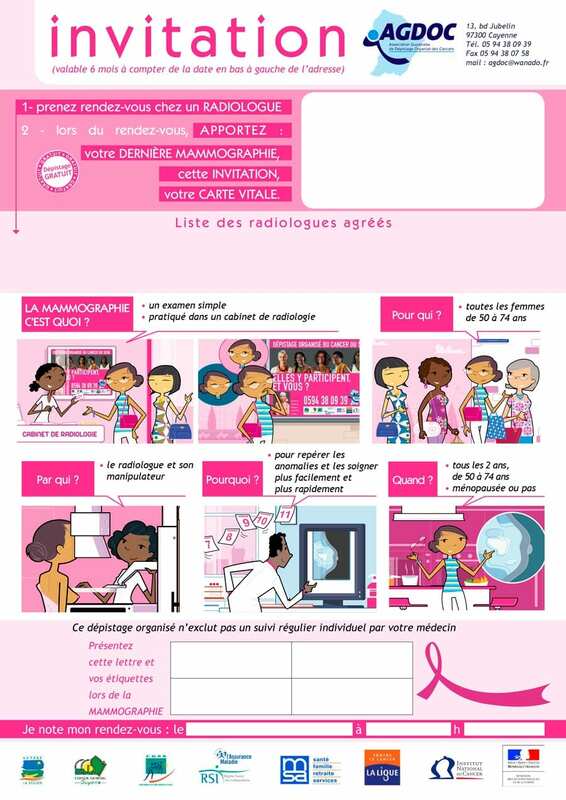 Dr Nadia Thomas, the coordinating doctor at AGDOC (a cancer screening group based in French Guiana) said "for the invitation, we really enjoyed working on giving it a new look, with a keen and reactive team always ready to help. The invitation is youthful and lighthearted and is refreshingly enthusiastic, as cancer screening is often seen as a serious and solemn matter. 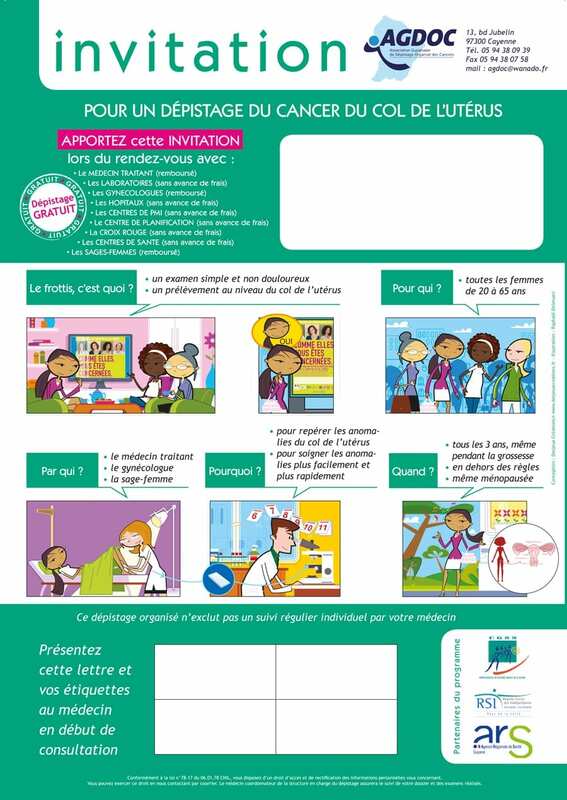 All our teams and contacts love it and wanted to have it in poster version, and we're thinking about extending this type of communication to other screening campaigns we organise." 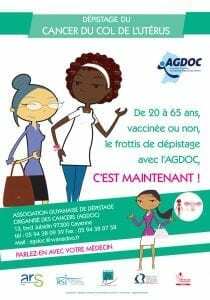 Produced by Desjeux Créations: AGDOC poster and invitation - awareness campaign in French Guiana - graphic design (picture, font and colour selection - picture editing - illustration Raphaël Delerue) and text layout. 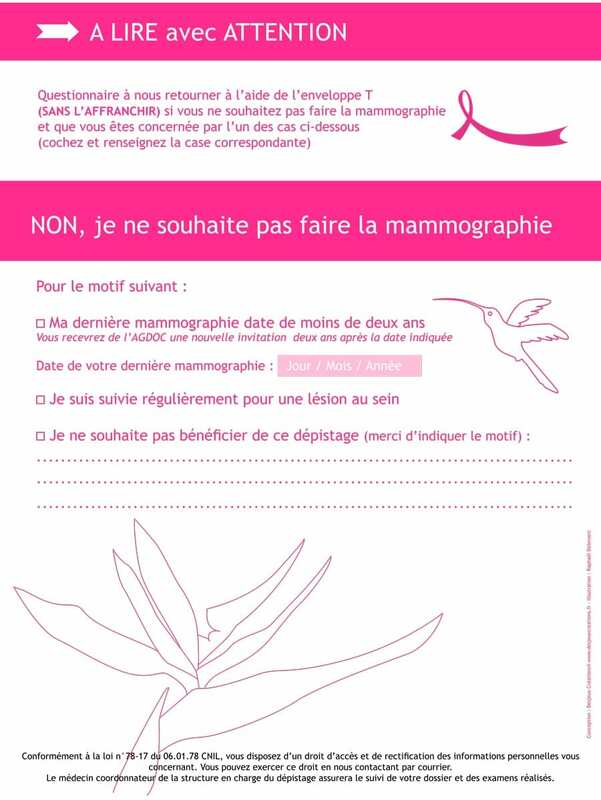 Our studio also produced a picture version for breast cancer screening. 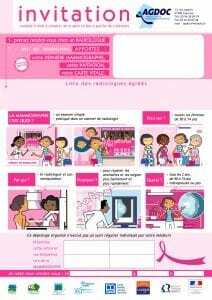 In close cooperation with the AGDOC team, we did the drawing, graphic design and layout of an invitation for breast cancer screening. 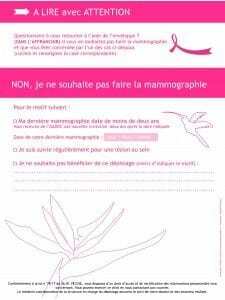 More details about the campaign at breast cancer screening for AGDOC.